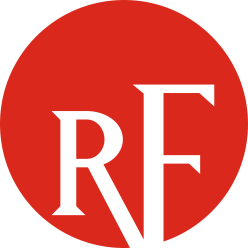 ReliabilityFirst periodically issues public reports on our Region and on key reliability issues​. We encourage you to review these reports and share them with your colleagues. ReliabilityFirst Annual Report: This report provides an overview of ReliabilityFirst's risk-based activities and initiatives over the past year. Themes and Lessons Learned - Compliance with the Critical Infrastructure Protection (CIP) Reliabilty Standards: Through its compliance monitoring and enforcement activities, and in coordination with NERC, ReliabilityFirst has identified themes that have made it difficult for some entities to comply with the CIP Reliability Standards. This report communicates these themes, and possible resolutions to them, so that we can work together to assure the reliability of the Bulk Electric System. ReliabilityFirst's Review of Winter Preparedness Following the Polar Vortex: Following the Polar Vortex, ReliabilityFirst identified positive observations and best practices in cold-weather preparedness, along with areas where entities could still improve. ReliabilityFirst also identified themes that emerged in actions to take to prepare for future similar weather conditions. Joint Report NERC/ReliabilityFirst Report on Washington, D.C. Area Low Voltage Disturbance Event of April 7, 2015: This report contains the ERO analysis of the system disturbance that occurred in the Washington, D.C., area on April 7, 2015.